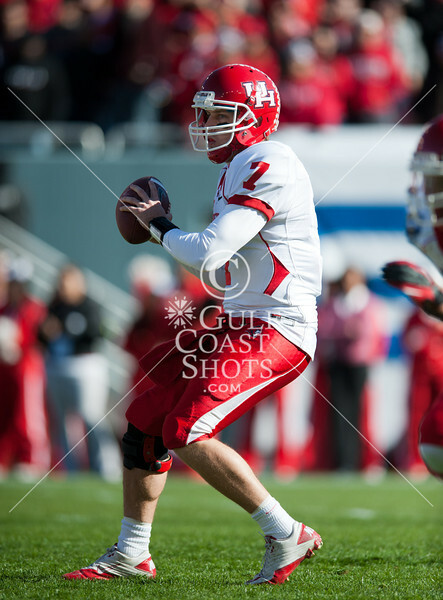 The University of Houston Cougars play the Nitany Lions of Penn State in the Ticket City Bowl NCAA D1 football bowl game at the Cotton Bowl in Dallas. Houston wins 30-14. This gallery contains photos from the first half of game action. The University of Houston Cougars play the Nitany Lions of Penn State in the Ticket City Bowl NCAA D1 football bowl game at the Cotton Bowl in Dallas. Houston wins 30-14.